Whiz until everything is really well combined and a soft dough forms. Press evenly into a baking dish that’s lined with parchment paper. Sprinkle sesame or hemp seeds on top and press in slightly with the back of a spoon or spatula. Place in the freezer for about 30 minutes. 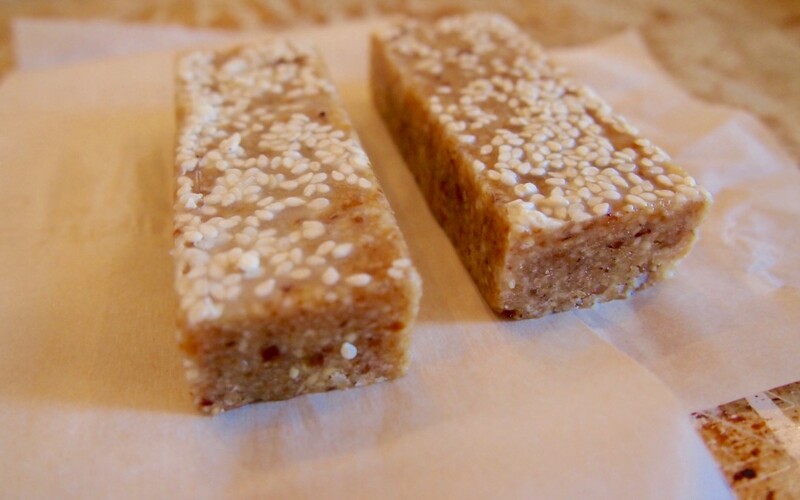 Cut into bars and wrap in parchment paper for easy, on the go snacks. Store in an air-tight glass container. I use Canadian/US TBS, which are equivalent to 3 Australian tsp. Try to buy organic ingredients whenever possible. Always use pink Himalayan salt or true sea salt. Always use real vanilla essence.